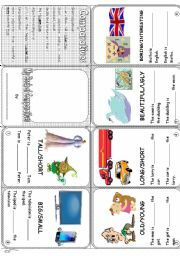 This worksheet contains a number of exercises to practise using different types of linking words. Many thanks to Zalida for the fantastic template! This is a board game to practise the future with be going to. Students move around the board making sentences from the prompts. Apologies for the lack of black and white version but I couldn´t get the file size small enough. Many thanks to Zalida for her wonderful template! This worksheet consists of a reading about the television programme ´Buffy the Vampire Slayer´ with comprehension questions used as a jumping off point for the presentation and simple practice of subject and object questions. Once again I have to thank PhilipR for the wonderful template! I found these horoscopes on theonion.com and had to find a way to use them with my students! 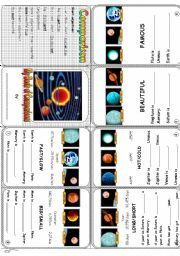 The worksheet is very basic - students read the horoscopes, highlight will and how it is used for prediction then write their own funny horoscopes. 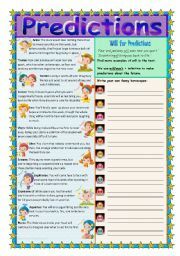 An amusing way to practise the use of will/won´t for future predictions! Hope you enjoy it! A simple worksheet to practise the structures ´I wish´ and ´If only´. Contains explanation and exercises to practise both structures. With B/W version and key. Hope you find it useful! 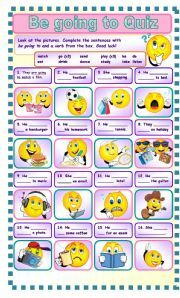 A worksheet to practise the use of the determiners some and any. Contains a brief explanation then some simple exercises. Many thanks to MJ Misa for the fantastic template! Simple powerpoint to talk about likes and dislikes with food and drink for young learners. Easy to edit. Reassembled thanks to the file size increase! 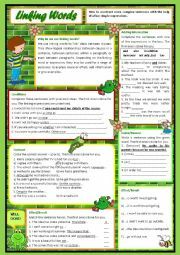 A simple powerpoint to teach elementary students how to write an informal letter to a penpal. With examples for each step. It worked with my students but feel free to change anything! A powerpoint to practise adjective and noun word order with clothes. The clothes come up in black and white on the presentation. When the students click on the correct sentence, the clothes change to the correct colour. In one part now!!! The 2nd conditional form and use - explanation and practice activities. Simple and effective and now in just one part!!! A simple powerpoint to present and practise comparatives at an elementary level. First there is a brief explanation and examples of the forms with different syllables, then the students have to compare various pictures. Enjoy! 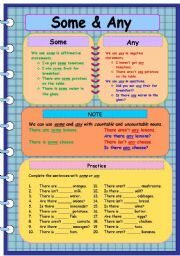 A simple presentation to practise the determiners much, many and a lot of in the affirmative, negative and questions with countable and uncountable nouns. 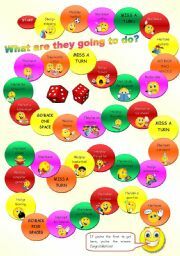 Can be used as a team game or as revision.